Institute of Banking Personnel Selection (IBPS) has released for IBPS SO Exam 2015 which is going to conduct 14th, 15th and 21st February 2015 for the various posts of Specialist Officers i.e. IT Officer, Agriculture Field Officer in the various departments of Supported Banks. The written exam will be conducted by ONLINE MODE. A huge number of candidates are going to appear in the exam. 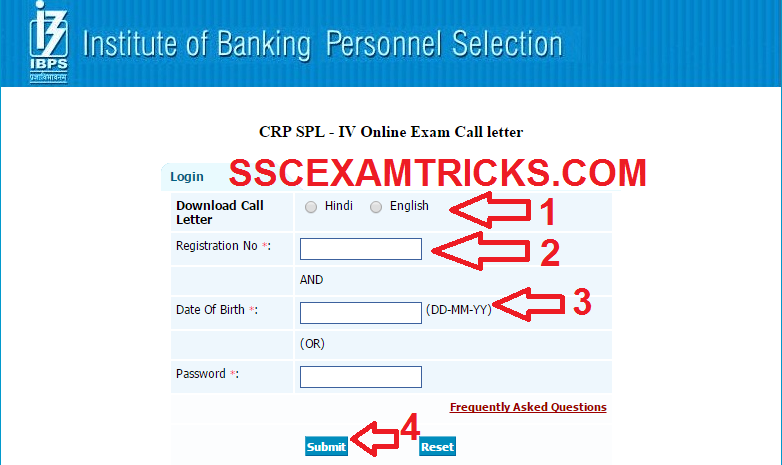 Those candidates who had applied for IBPS SO Exam 2015 and waiting for the admit cards/Call letters can download their ONLINE admit cards from the direct link provided in the end of the posts. · Click on the link say ‘IBPS SO Exam 2015 Admit cards’. The IBPS SO Exam will be conducted on 14th, 15th and 21st February 2015. The IBPS SO EXAM 2015 will be conducted by ONLINE MODE. In ONLINE Mode, the exam will be entertained through filling of circles on Computer Generated Page containing information of answers which will be selected by filling circle in it. NO OMR sheet will be filled by Blue/Black ball point pen. Rough blank sheet will be issued for calculations/rough work in exam. IBPS SO EXAM from the official website.